Augmented reality wearables are already making big impacts in the world architectural design and medicine, and the technology is now make inroads into the mass-market world of car production following a new initiative by Volkswagen. 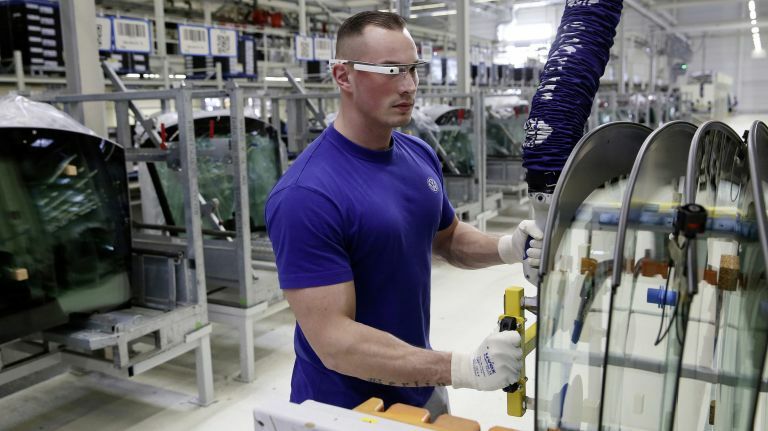 The German firm initially trialled the use of AR glasses for three months in its plant and the phase has been so successful its now rolling out their use across the entire company's production infrastructure. The wearables are used by logistics personnel and enable these employees to track everything from part numbers to pin locations in real-time. The specs improved productivity in these areas and the VW is hoping it'll similar results on a wider scale. "Digitalization is becoming increasingly important in production," comments Reinhard de Vries, Head of Plant Logistics at Wolfsburg. "The 3D smart glasses take cooperation between humans and systems to a new level." Of course, we should add that using AR isn't compulsory - and around 30 or so employees have taken up the wearables so far.